Here's where to watch every episode of Russell Howard's Good News season 7. Mouseover or tap an episode to see where to stream it. Click or tap the play icon to stream it on the best available service. 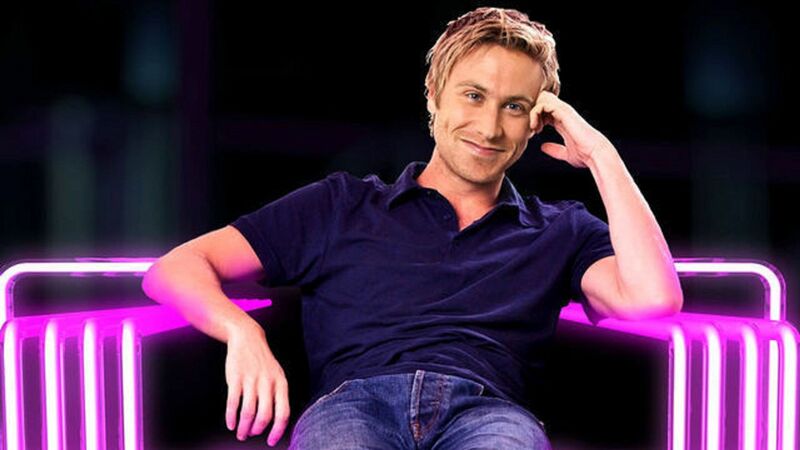 Episode 1 Sep 27, 2012 Topical comedy show in which Russell Howard offers up an energetic look at global goings-on and finds his own uniquely upbeat angle on the news each week, from over 60 international news channels, 140 worldwide newspapers and over a thousand news clips. He and his crack team will leave no stone unturned in their pursuit of the weird and wonderful stories that have been dominating the media in the past seven days. Episode 2 Oct 4, 2012 Topical comedy show in which Russell Howard offers up an energetic look at global goings-on and finds his own uniquely upbeat angle on the news each week, from over 60 international news channels, 140 worldwide newspapers and over a thousand news clips. He and his crack team will leave no stone unturned in their pursuit of the weird and wonderful stories that have been dominating the media in the past seven days. Episode 3 Oct 11, 2012 Topical comedy show in which Russell Howard offers up an energetic look at global goings-on and finds his own uniquely upbeat angle on the news each week, from over 60 international news channels, 140 worldwide newspapers and over a thousand news clips. He and his crack team will leave no stone unturned in their pursuit of the weird and wonderful stories that have been dominating the media in the past seven days. Episode 4 Oct 18, 2012 Topical comedy show in which Russell Howard offers up an energetic look at global goings-on and finds his own uniquely upbeat angle on the news each week, from over 60 international news channels, 140 worldwide newspapers and over a thousand news clips. He and his crack team will leave no stone unturned in their pursuit of the weird and wonderful stories that have been dominating the media in the past seven days. Episode 5 Oct 25, 2012 Topical comedy show in which Russell Howard offers up an energetic look at global goings-on and finds his own uniquely upbeat angle on the news each week, from over 60 international news channels, 140 worldwide newspapers and over a thousand news clips. He and his crack team will leave no stone unturned in their pursuit of the weird and wonderful stories that have been dominating the media in the past seven days. Episode 6 Nov 1, 2012 Topical comedy show in which Russell Howard offers up an energetic look at global goings-on and finds his own uniquely upbeat angle on the news each week, from over 60 international news channels, 140 worldwide newspapers and over a thousand news clips. He and his crack team will leave no stone unturned in their pursuit of the weird and wonderful stories that have been dominating the media in the past seven days. Episode 7 Nov 8, 2012 Topical comedy show in which Russell Howard offers up an energetic look at global goings-on and finds his own uniquely upbeat angle on the news each week, from over 60 international news channels, 140 worldwide newspapers and over a thousand news clips. He and his crack team will leave no stone unturned in their pursuit of the weird and wonderful stories that have been dominating the media in the past seven days. Episode 8 Nov 15, 2012 Topical comedy show in which Russell Howard offers up an energetic look at global goings-on and finds his own uniquely upbeat angle on the news each week, from over 60 international news channels, 140 worldwide newspapers and over a thousand news clips. He and his crack team will leave no stone unturned in their pursuit of the weird and wonderful stories that have been dominating the media in the past seven days. Episode 9 Nov 22, 2012 Topical comedy show in which Russell Howard offers up an energetic look at global goings-on and finds his own uniquely upbeat angle on the news each week, from over 60 international news channels, 140 worldwide newspapers and over a thousand news clips. He and his crack team will leave no stone unturned in their pursuit of the weird and wonderful stories that have been dominating the media in the past seven days. Episode 10 Nov 29, 2012 Topical comedy show in which Russell Howard offers up an energetic look at global goings-on and finds his own uniquely upbeat angle on the news each week, from over 60 international news channels, 140 worldwide newspapers and over a thousand news clips. He and his crack team will leave no stone unturned in their pursuit of the weird and wonderful stories that have been dominating the media in the past seven days. Episode 11 Dec 6, 2012 Topical comedy show in which Russell Howard offers up an energetic look at global goings-on and finds his own uniquely upbeat angle on the news each week, from over 60 international news channels, 140 worldwide newspapers and over a thousand news clips. He and his crack team will leave no stone unturned in their pursuit of the weird and wonderful stories that have been dominating the media in the past seven days. Episode 12 Dec 13, 2012 Topical comedy show in which Russell Howard offers up an energetic look at global goings-on and finds his own uniquely upbeat angle on the news each week, from over 60 international news channels, 140 worldwide newspapers and over a thousand news clips. He and his crack team will leave no stone unturned in their pursuit of the weird and wonderful stories that have been dominating the media in the past seven days.